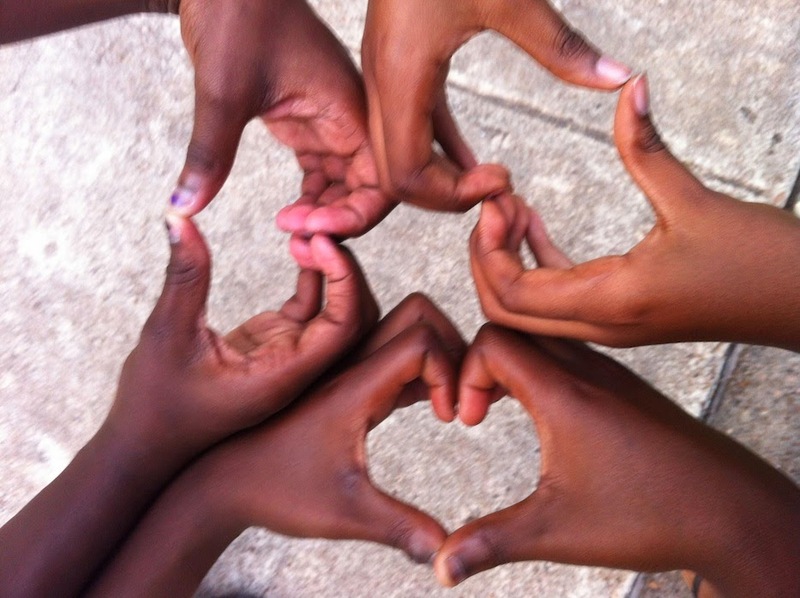 Join Parenting Autistic Children with Love and Acceptance, Autism Women's Network, Advocacy Without Borders, and Boycott Autism Speaks for a flash blog!!! A great disservice was done to all Autistics and their loved ones when attempted murderer K. Stapleton appeared on the Dr. Phil show. Rather than take responsibility for trying to kill her disabled daughter, the entire conversation centered on blaming the victim - teenage Issy Stapleton - for provoking her mother's abuse because of her "out of control" autistic behaviors. Dr. Phil gave K. Stapleton and others who devalue disabled lives a huge platform to excuse abuse and murder under the guise of "mental illness" or because of "inadequate services." Given that over 40 disabled individuals in the last five years have been killed at the hands of their caretakers, we must act. Too many lives are at stake. There is NEVER a justifiable reason for murder and abuse. Along with Autism Speaks, K. Stapleton's opportunistic story has led the public to believe that she is representative of autistic families and that such choices are acceptable. We need to change that conversation. Help us speak out! Autistic advocates and are allies need your help! 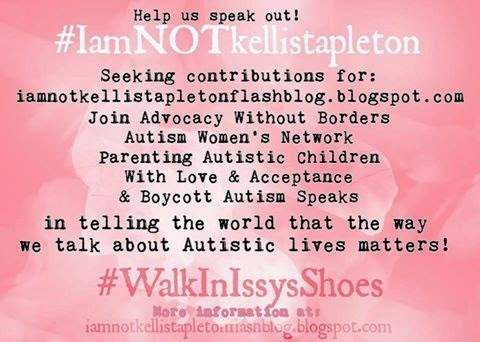 Advocacy Without Borders, Autism Women's Network, Parenting Autistic Children With Love and Acceptance, and Boycott Boycott Autism Speaks are collaborating to host an #IAmNotKelliStapleton‬ #WalkInIssysShoes flash blog from October 11, 2014 through October 25, 2014! 14 days...one day for every year of Issy's life at the time of the attack. WE NEED YOUR CONTRIBUTIONS!!!! Please send in a statement about how you are NOT like K. Stapleton and why it is dangerous to believe that way, about how Issy is the REAL victim, about your own experiences, etc. If you're a parent, you might prefer to use the #IAmNotKelliStapleton hashtag; if you are a non-parent, you might want to use #WalkInIssysShoes. We will be inclusive of BOTH as we want EVERYONE, parent or non parent, Autistic or allistic, to be able to participate.